Changes are also afoot at the Alpe di Siusi: the modern, comfortable “Mezdi” 6-seater chairlift has replaced the old 2-seater chairlift in the Piz area. This will provide more comfortable and faster access to the area’s beautiful pistes. The new stations feature the “Pininfarina” design and the facility is also operated using the environmentally friendly and cost-saving LEITNER DirectDrive system. “From four to six” is the motto for increasing capacity in Alta Badia, a ski resort where LEITNER ropeways have been present for over 70 years. The new “Roby” 6-seater chairlift is replacing the existing 4-seater chairlift, therefore providing comfortable and fast transportation. 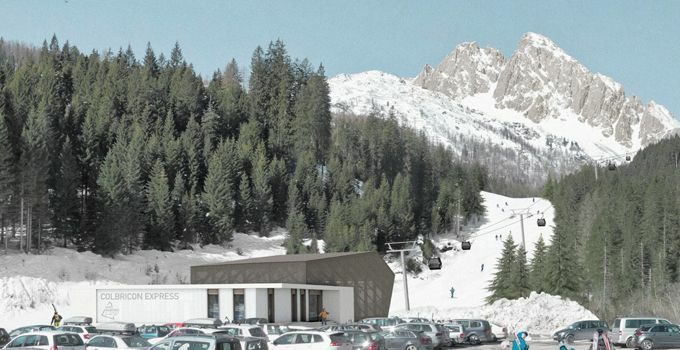 Things will also be much faster in future in San Martino di Castrozza – Passo Rolle. 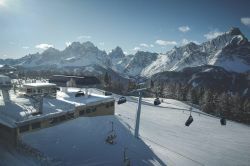 From next season, skiers will be transported from San Martino di Castrozza to Valbonetta in the Trentino ski resort – part of the “Dolomiti Superski” area – in only six minutes, all thanks to the new “Colbricon Express” 10-passenger gondola lift from LEITNER ropeways.